Welcome to the Seventy Seventh Edition of the Owen Guns Bulletin. Thoughts for the Week. SPEAK OUT NOW. Act together to Stop Gun Grabbers. A Courageous Letter from Olympic Arms, informing that they will no longer supply the State of New York with firearms. Olympic Arms manufacture an AR15 that most of us here in Australia would give our left leg for. They call for all the U.S manufactures of firearms and ammunition to do like wise. Five companies, thus far, have communicated their intention not to sell to any police or government agencies in New York State. Barrett Firearms La Rue Tactical, Extreme Firepower Inc, LLC Templar Custom and York Arms have already pledged to do the same. ‘Guns Save Life’ is joining with ‘Grass Roots’ North Carolina in calling for all American gun owners to pressure Sig Sauer, Smith and Wesson and Glock to shut off sales to government agencies in New York State. Which would effectively disarm the New York Police Force. This could spread to the Federal Government, passing them the message that we should not have two classes of citizens in the country armed and dis armed. This is the letter from their President. “Legislation recently passed in the State of New York outlaws the AR15 and many other firearms, and will make it illegal for the good and free citizens of New York to own a large selection of legal and safe firearms and magazines. We feel as though the passage of this legislation exceeds the authority granted to the government of New York by its citizens, and violates the Constitution of the United States, ignoring such Supreme Court of The United States, rulings as District of Columbia v. Heller – 554, U.S. 570 of 2008, McDonald v. Chicago – 561 U.S. 3025 of 2010, and specifically the case of United States v. Miller – 307 U.S. 174 of 1939. In short, Olympic Arms will no longer be doing business with the State of New York or any governmental entity or employee of such governmental entity within the State of New York – henceforth and until such legislation is repealed, and an apology made to the good people of the State of New York and the American people. Brian Schuetz President Olympic Arms, Inc.
Wouldn’t that be great if all those manufactures could stick together and show that the good citizens are all equal under the Constitution, we are all not born equal some have more or less gifts than another, but government has to treat people equally they cannot deny property to one good citizen take his taxes off him by intimidation, threats, coercion, the fear of losing everything, and give his money to buy that property ‘firearms’ to his neighbours a powerful gang called the police. Its inspirational, that people can now see that there is a moral line that any government breaks when it decides to allow some citizens to defend themselves and others to leave defenceless. There is no justification for governments public servants to be more heavily armed than the law-abiding public they serve. 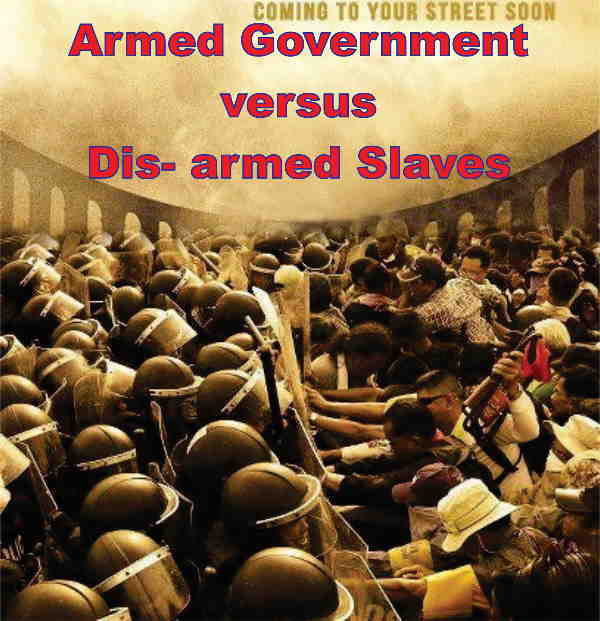 Unless.. the government’s intention is to overpower, control, or enslave the law abiding public. Is That True? Conflict of Interest? Who is On Our Side?? In Queensland the defenceless lost to the armed to the teeth Police, in 1997 and so again we have the total reverse of the above American situation. We have the number one government firearm supplier Robert Nioa, Nioa Trading, (supplier of Glock, just one example of Police equipment he supplies), sitting on the Ministerial Weapons Advisory Panel (that has supposedly the intention of following the LNP promise of reducing Red Tape by 20% from the Weapons Licencing Branch and reducing staff, and payrolls for the state by lessoning the impositions on the Licensed shooters) it is still meeting monthly with a few representatives of the shooting clubs. Was this a Conflict of Interest? Politicans in the family, are money in the bank for the suppliers of Australia's Police Firearms. As Robert Nioa other in- Law was Russel Cooper the Police Minister (who betrayed his promises and introduced the 1997 Gun laws) with his father William Nioa they were the co-ordinators and contractors for the Queensland Police corrupt Buy Back that ran for a year in 1997 busily disarming Queenslanders. They made many millions out of it. Is Robert Going to Bite the Big Hand That Feeds His Company? 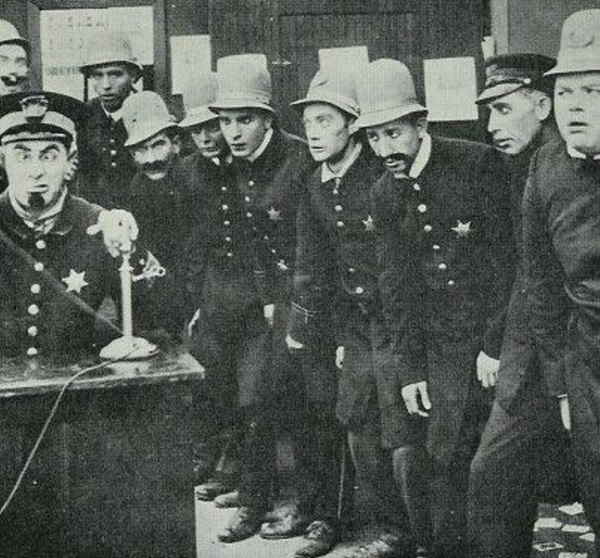 Since the government seceded to the demand of the left wing Queensland Police Union President Ian Leavers, and allowed the delegates of the Police Union on to Ministerial Weapons Advisory Panel (Ian who is looking forwards to a State pre-selection for a safe Labour seat) he is sometimes takes two other delegates to help bully the panel. It is reported that Robert Nioa’s best friends on the panal is the Police Union. Is Robert there supposedly to protect the interests of the Queensland Firearm Dealers, or to agree with all statements from his number one customer the Queensland Police? Which ever is the truth Robert Nioa, or no one else similarly placed should be put in a position of agreeing to, or opposing our rights to own property, our right to self defence our human rights whilst risking his business with his best customer. It is unfair to put him in that position, it is a natural conflict of interest. It is reported that, when asked if he thought it too onerous for the Dealers to do a firearm audit once a year, his comment was that was just good business practice anyway. So every Dealer in Queensland will be forced to do the Police audit on the police form for the next twenty years. Which has no bearing on a dealers business systems such as MYOB at all. MYOB does not need to know magazine capacity, barrel length, calibre, category, action type. Robert has more than likely never done one, as he is not a dealer behind a counter he is a importer wholesaler/ customs bond store. The reason why the police minister asks these question as its Audits are superfluous information anyway the police already have it from the form 10s that the dealer has to submit and if the QPS was efficient, it could print it out what the Dealer had in stock in a few seconds, but as they do not have the staff to balance the audits, or even understand the differences in firearms, its all useless information anyway. The Ministerial Weapons Advisory Panel have been informed by the Police Minister that he wants the panel to come up with a completely new act not just a re-write of the Weapons Act 1990, he want it refreshingly called the Firearms and Offensive Weapons Act 2013. Refreshing as it does not begin by accusing all firearms as weapons they are not all tools of war and are only weapons when they are used for assault. 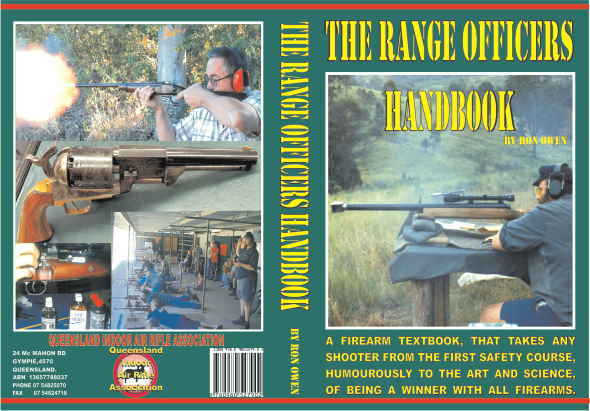 It would be even more refreshing if they began with the Firearms and Offensive Weapons Act of 1979 all 27 pages of it. Yes, that was no where near perfect we all complained about its misuse of power but it was a shining star in comparison with today’s mess. Robert Nioa’s current suggestion is to just cut and paste the current Weapons Act (with regulations 600 pages) and tweek it around the edges. 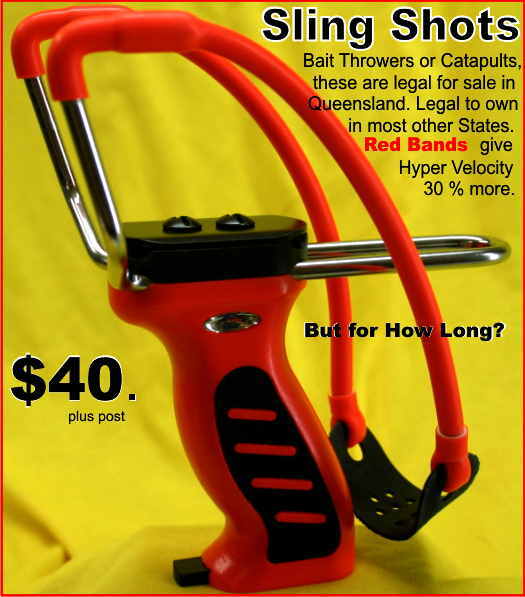 Robert has been very generous to his father in law’s Bob Katter’s Australia Party, is this another conflict as if the Minister Panel and the Liberal National Party ditch the archaic, pre diluvion long arm registration system Bob Katters Party will miss out on hundreds of thousand shooting supporters at the next election. Wouldn’t it be lovely if the Importer, and firearm trade in Australia followed the example of Olympic Arms and put their morale convictions before trading with the enemy?? 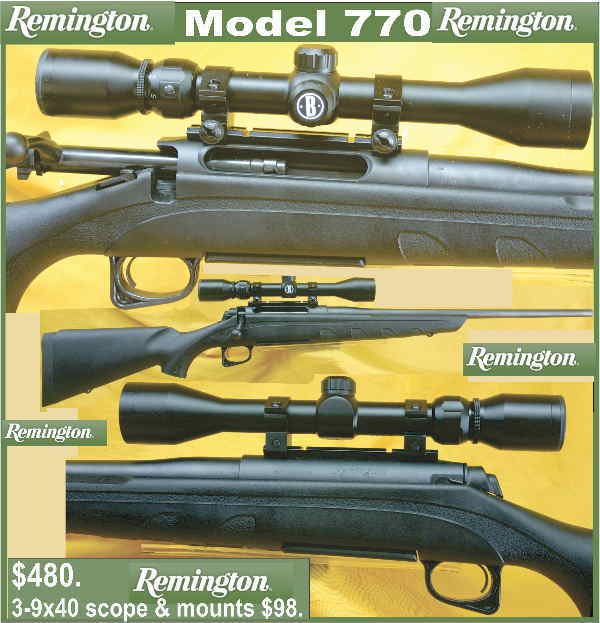 Remington Model 770 .243w,.270,.308w,.30-06s $480. 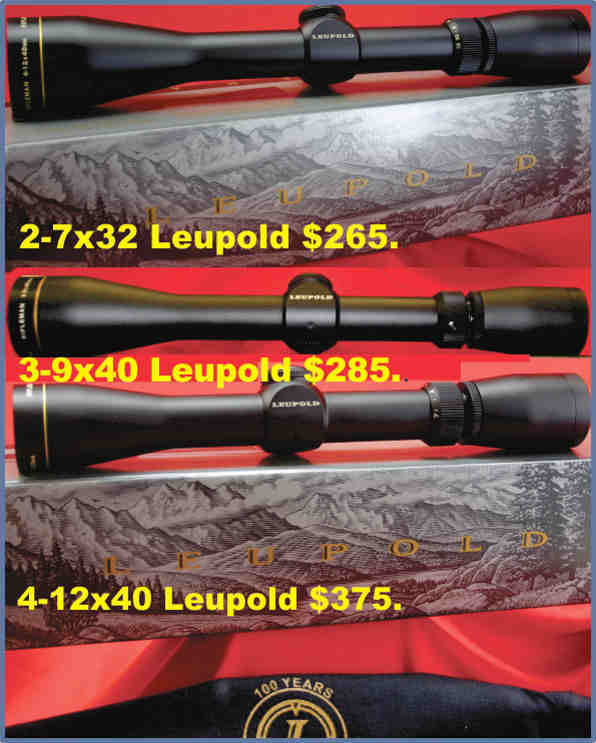 3-9x40 scope & mounts $98. If you do not complain about the impositions on you now, they will continue to move to impose more. Hundreds or thousand of law-abiding firearm owners use our firearms safely and responsibly every day. We are mechanics, doctors, teachers, police officers, firemen, nurses, factory workers, and every other occupation you can name. We are a vast and too-often silent majority … and our rights are under attack again. You have to be political they want your rights, they want your property and they want to take away your livelihood, your sport or your hobby. We need everyone’s voice to be heard! To send by email follow these steps. as it is a full list of all Members of Parliament in Queensland, email address and phone numbers look yours up or send an email to all of them. These are the people that vote to place impositions on your rights. This is an easy way to tell your legislators you care more about your gun rights than his seat in parliament. Let him know, you want him, to represent you, to protect people like you, law abiding citizens who are being treated as Criminals if your renewal goes missing in the post. People like you who are fined for owning property, your firearms every time you have to re-new another licence. People like you who are fined $32. every time you need to buy a new firearm. It used to be criminals that were fined but now the State has changed its ideas and imposes its wrath on those who pay the taxes to pay the governments wages. We are the ones who have to act individually yet together at one time and turn this around. They have to realise we are the majority. If you prefer, you can phone them or write to them a more personal letter by snail mail. · Save billions of tax-payer $$ on a system which has never worked and never will. Stop using my contributions of money to prop up a totally dysfunctional piece of legislation in the misguided pursuit of “public safety” . 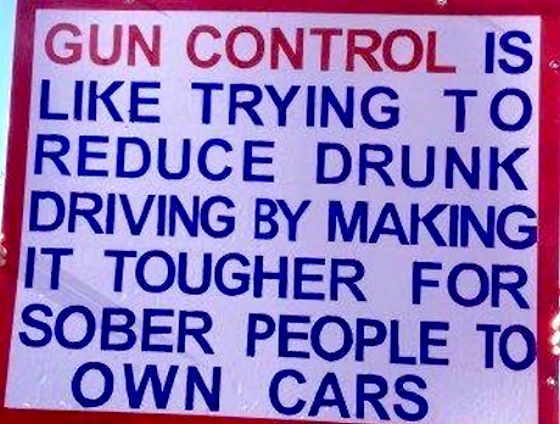 It works the opposite way, More Guns, equals less Crime. Stop making Criminals out of your law abiding citizens and spend our resources on keeping killers in jail and guarding our homes and businesses. Any law, regardless of what is, only ever works when people consciously elect to actually observe it. Criminals don’t ever consider firearm laws and never ever will. What are we paying taxes, licence renewals, permit to acquire for? Our own chains, when it catches no criminals and saves no ones life. In fact it is just a list the police can sell to criminals of who to rob and steal guns from. Please tell me what I and my friends are paying for. I would appreciate to be enlightened by the persons my contributions are paying to keep in a job. Step Two: Get all your friends to help support our rights; pass this around and ask them to click on the link and send emails and letters too. Many elected officials have been looking for an opportunity to curtail our firearm rights and think they can win now if they move quickly while world emotions are high. In Canberra Julia Gizzard and her cronies and in many state legislatures across the country, anti-gun forces are gathering and conspiring in an effort to pass bad legislation that will go beyond anything we have ever seen. At least one state legislature NSW has already passed a law enforcing the registration of all ammunition sales. You had a right to purchase property freely now that right has been taken from you. This is not just showing your licence but the dealer recording name licence number and what you have purchased. This will send a lot of local dealer to the wall as they cannot afford to pay extra staff to relay this information back to the government. Reality seems to be lost on politicians, so only votes count let them know, that you will be watching there vote in parliament on this subject which is closest to your heart. Already these Police Lists have found there way into the hands of Criminal House breakers in NSW andVictoria. Stop it now before another Policeman sells the list. Will Queenslands Finest Protect Your Home Address and What you have In Your Safe?? The Greatest Threat to Your Firearms is Rust and Politicians. Marlin Model 336 W in 30-30 Winchester Now with Laminated Stocks $720.